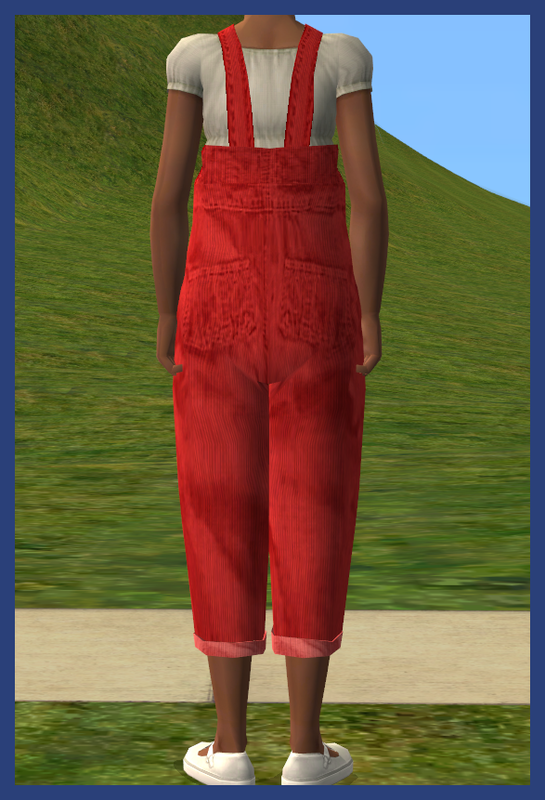 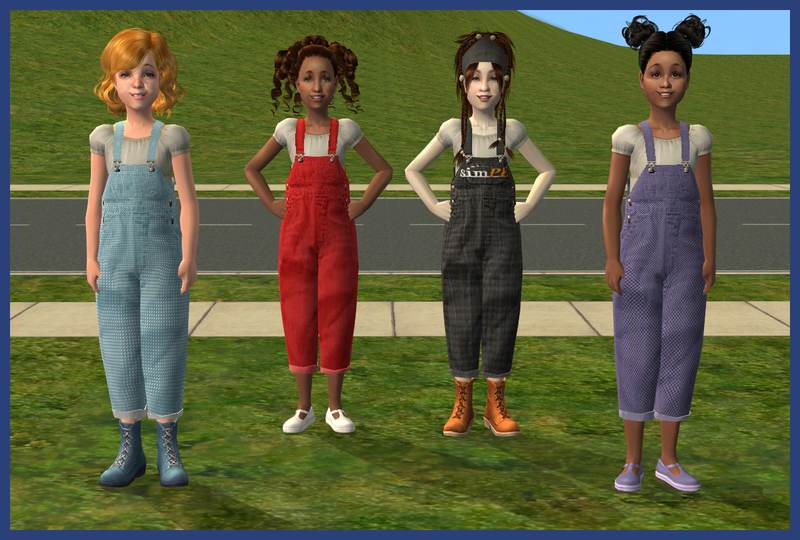 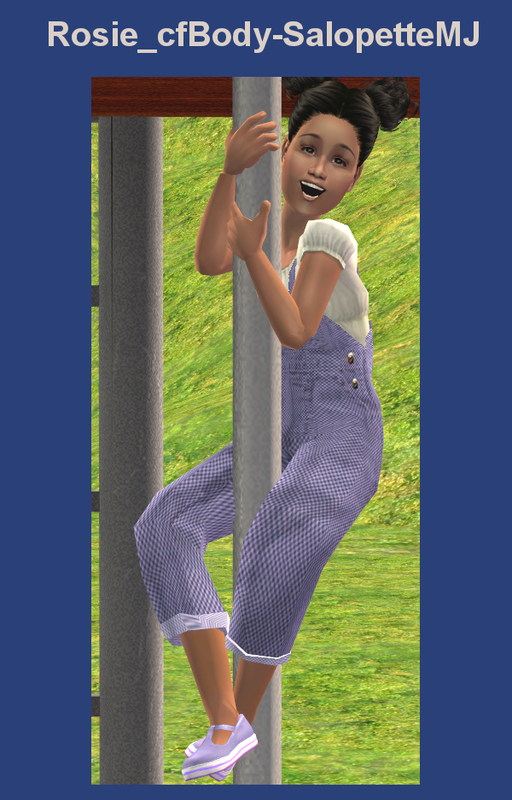 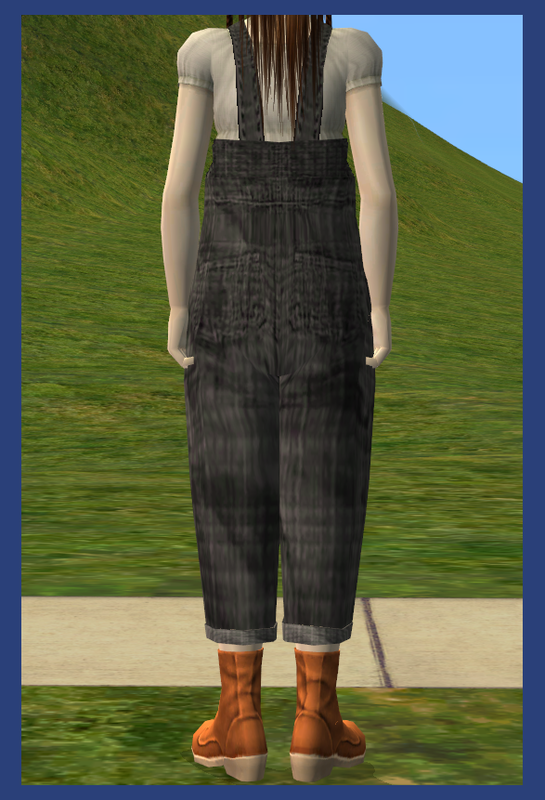 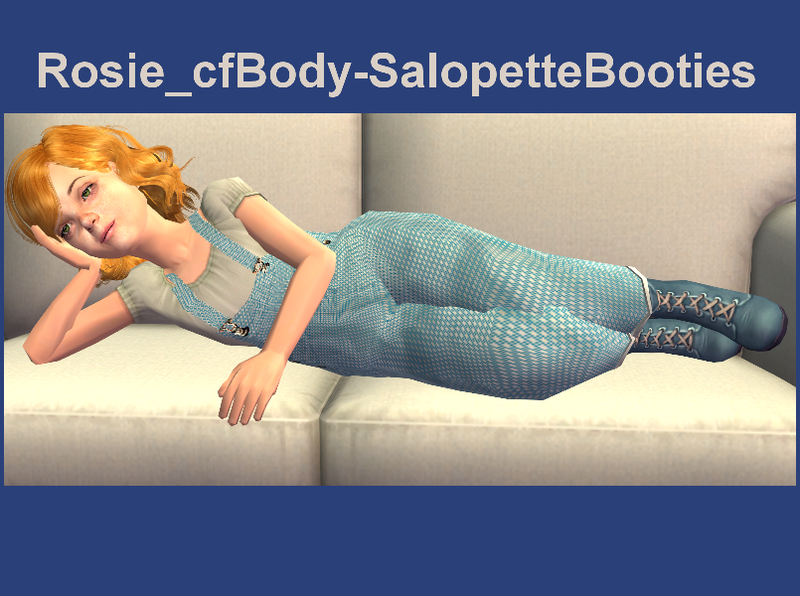 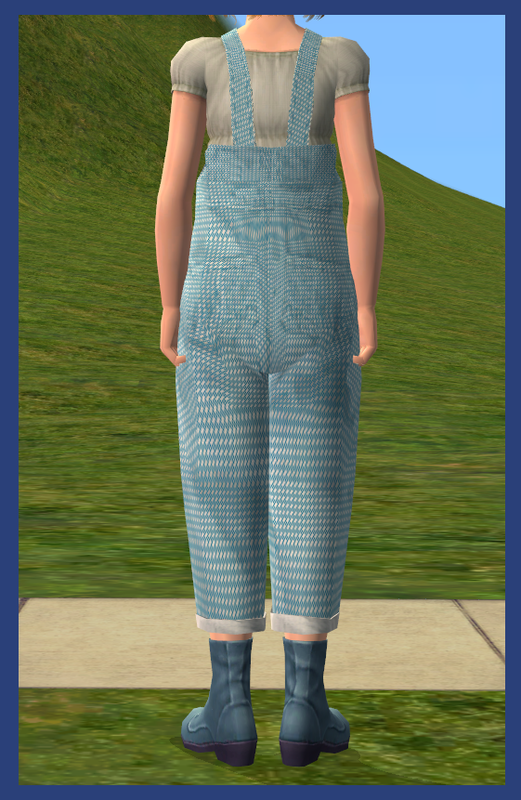 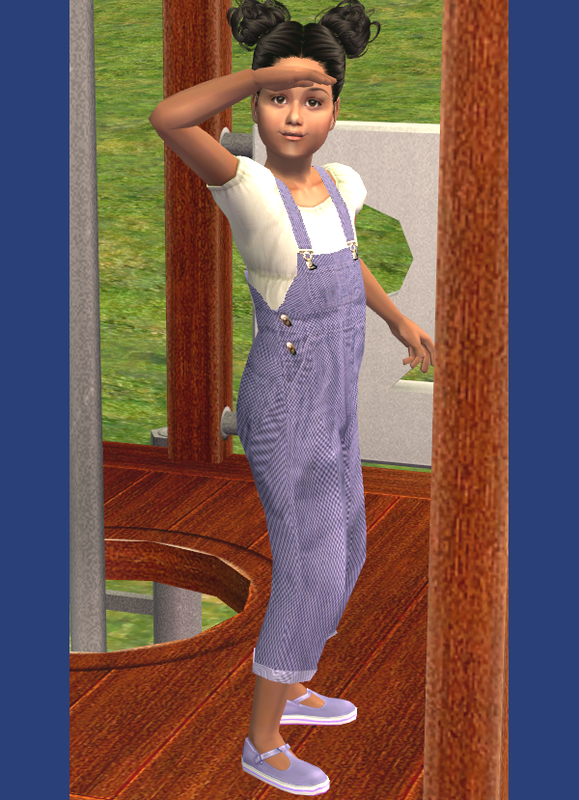 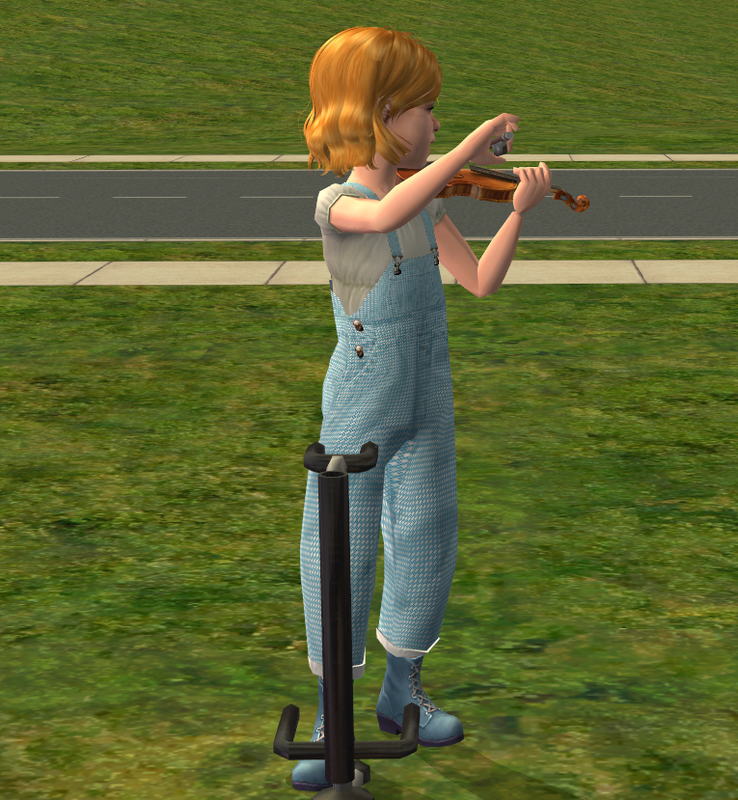 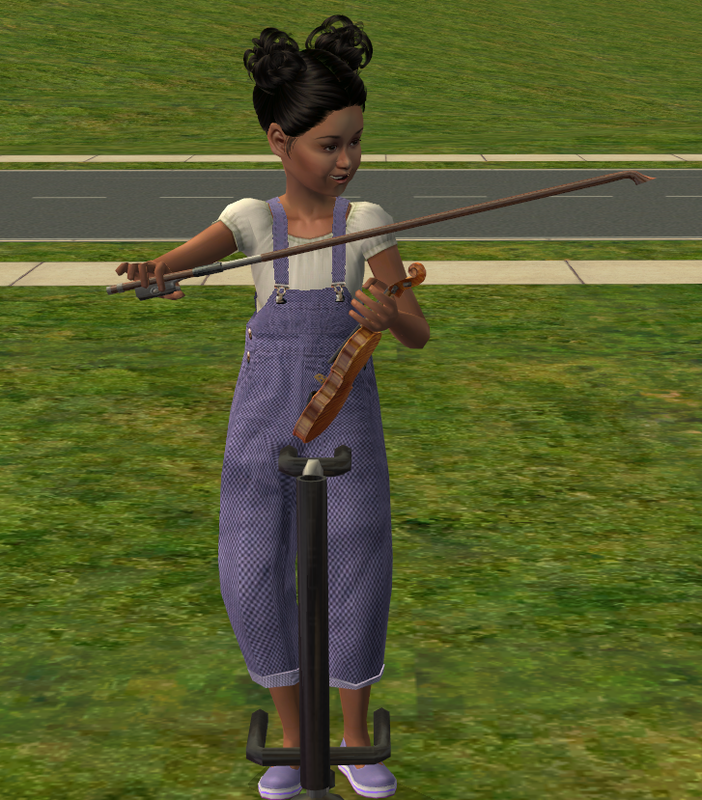 Mod The Sims - More Overalls..Female Child Version! I had to adapt my Toddler Overalls for everyone I just had to...so here is my Female Child version. 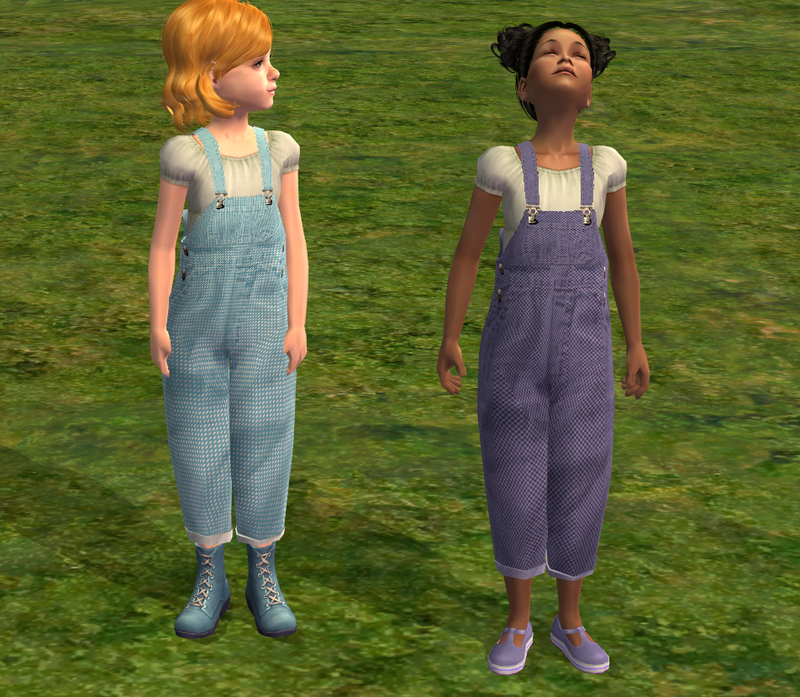 These Salopettes(Overalls) are 3/4 in length and have been rolled up a bit. 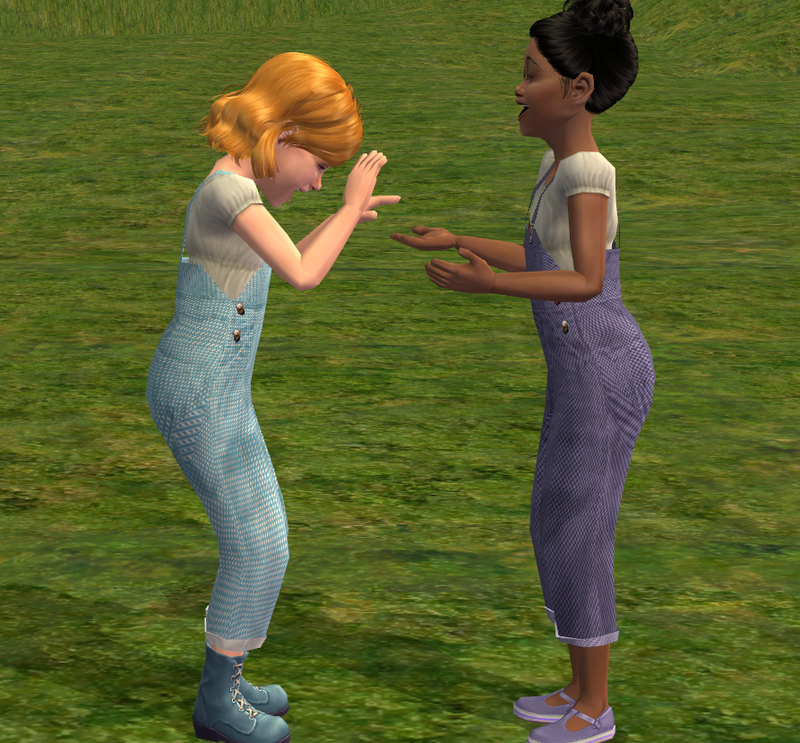 I have 2 styles for you. 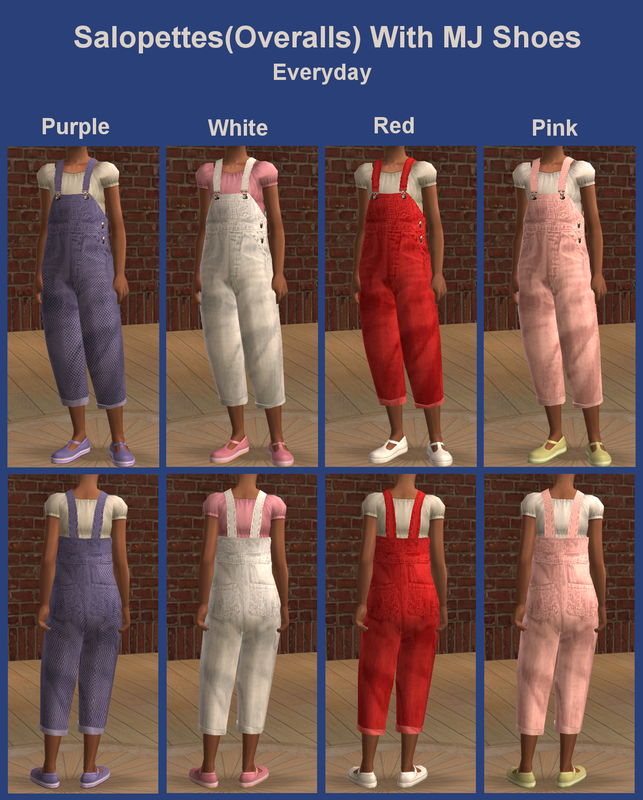 Both are offered as Everyday Full Body outfit. 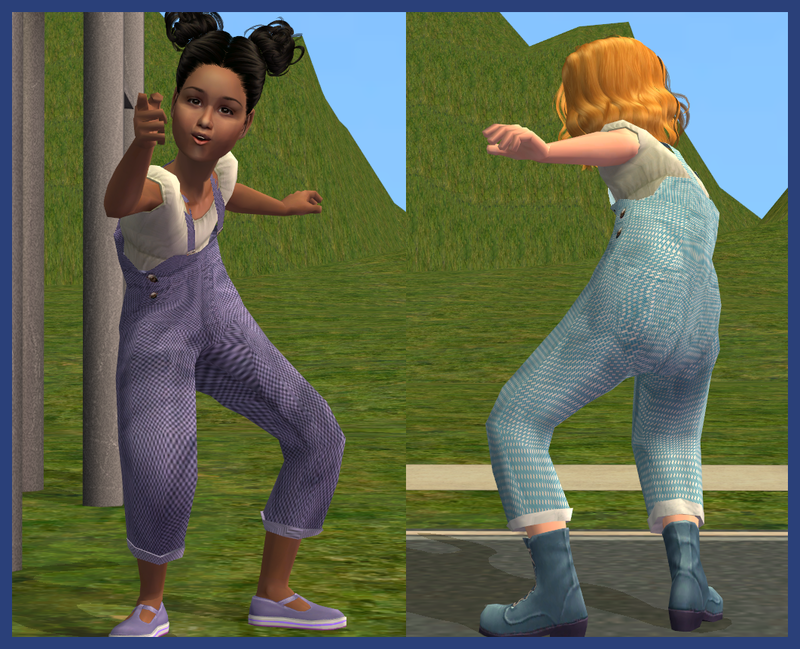 Both only available to Female Child. 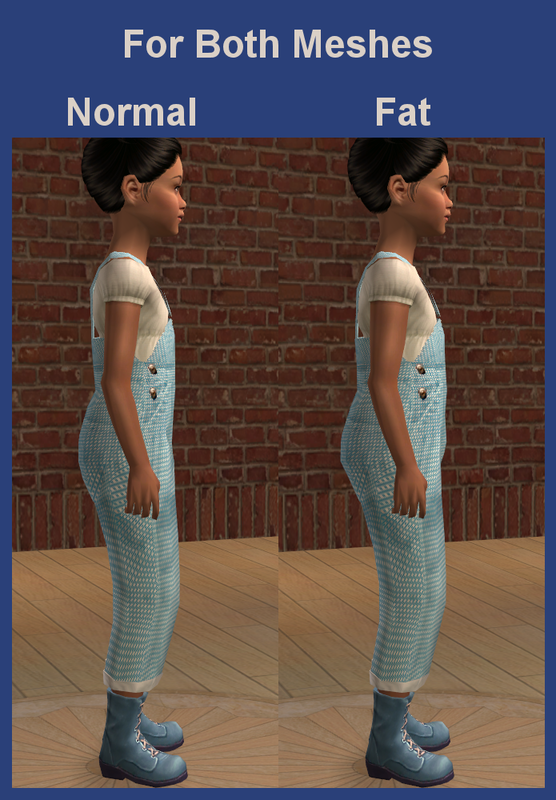 I have included the Fat morph, and both are the very same..except for the Shoe part. 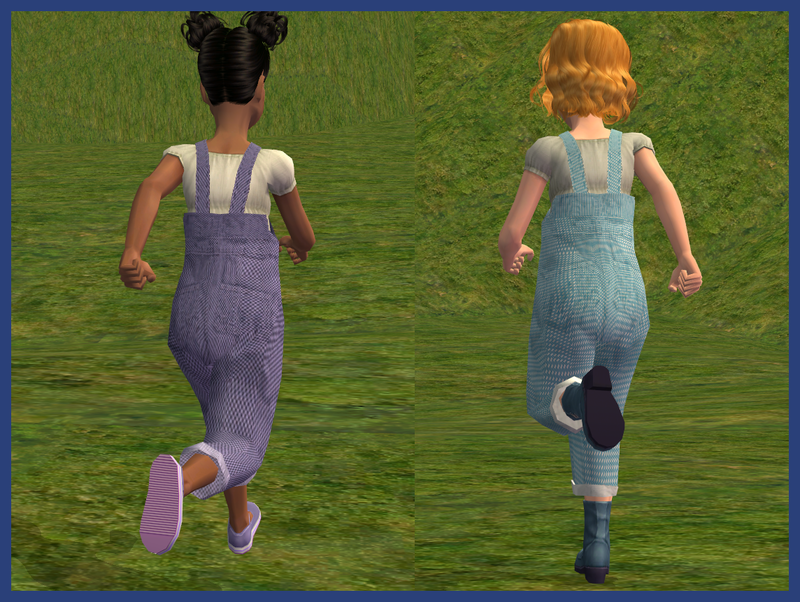 Textures for the Overalls comes from my Toddler version, more colors have been done of course. 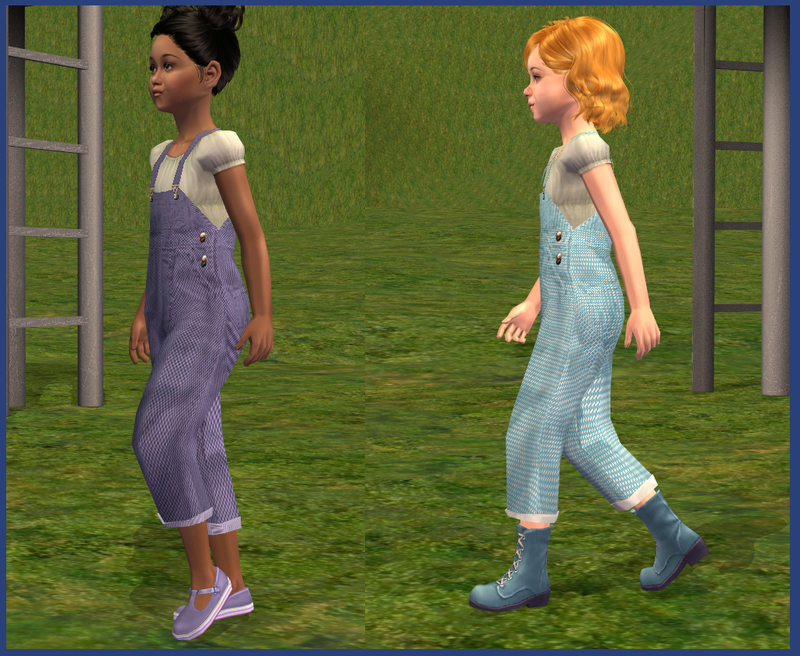 For a better fit, the Overalls part of these meshes is an alpha mesh, and so are the shoes.